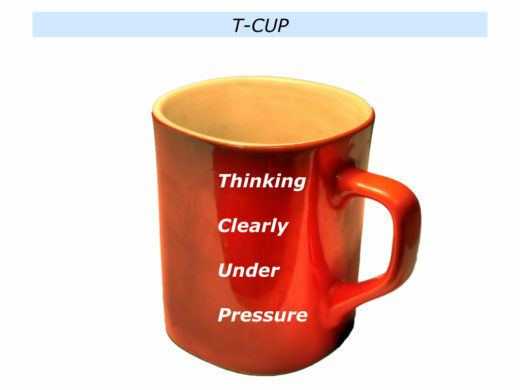 T-CUP is an acronym often referred to by the sports coach Sir Clive Woodward. He used it as head coach of the England rugby team that won the World Cup in 2003 and also as director of elite performance for the British Olympic team. Different people interpret the acronym in different ways. Some refer to it as Thinking Clearly Under Pressure. Others use Thinking Correctly Under Pressure. Why do people use this approach in sports? Many athletes are extremely talented, but their performance on the day can be influenced by how they respond to pressure. Good coaches prepare individuals and teams to deal with such difficulties. They create scenarios that, as far as possible, replicate challenging situations. The athletes are then helped to develop skills for staying calm under pressure. The England rugby players became so used to the approach that, whenever difficulties emerged, they would remind each other, ‘T-CUP.’ This helped them to make good decisions at key moments in matches. Looking back, can you recall a situation when you stayed calm, considered the options and chose the route most likely to achieve success? This could have been a personal or professional situation. 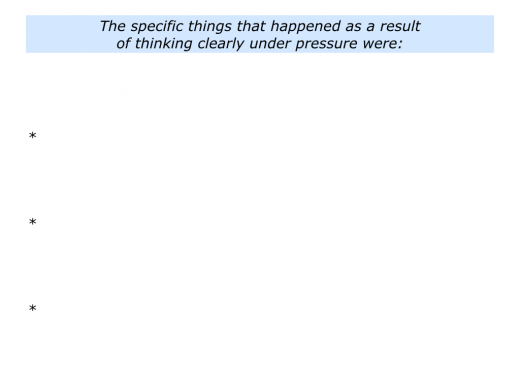 Describe a specific situation in the past when you were able to think clearly under pressure. 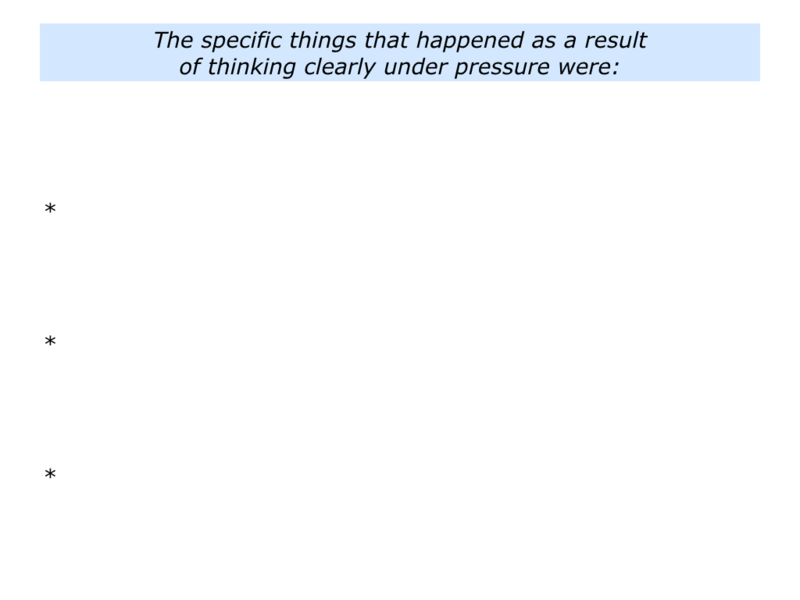 Describe the specific things you did to think clearly under pressure. Different people use different methods for staying calm and making good decisions in difficult situations. Some people use the 3C model for creative problem solving. They focus on clarity, creativity and concrete results. Such people clarify the real results they want to achieve. They then translate these into a clear picture of success. Good decision makers clarify the possible options for moving forwards, together with the pluses and minuses of each route. 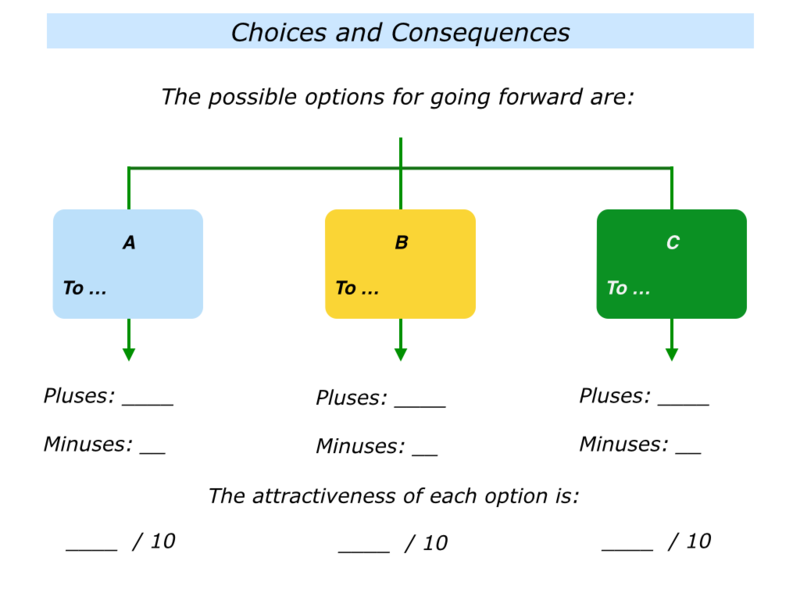 They also clarify the attractiveness of each option. Such people then focus on doing superb work. They find solutions to challenges and do whatever is required to achieve the picture of success. You will, of course, have your own approach to creative problem solving. Adopting the T-CUP method can act as a reminder, however, and buy time to apply your approach. 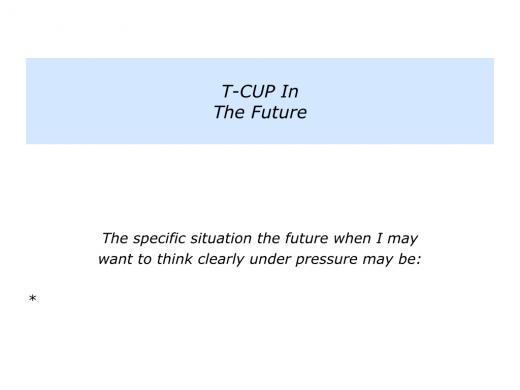 Looking to the future, can you think a potentially challenging situation when you may want to use the T-CUP method? You may want to do this when making a transition, dealing with an illness, experiencing a crisis or whatever. Describe a specific situation in the future when you may want to think clearly under pressure. 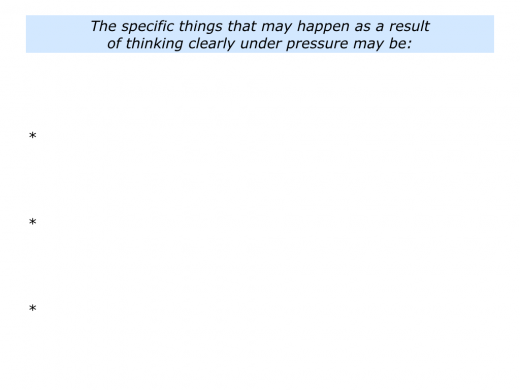 Describe the specific things you can do to think clearly under pressure.